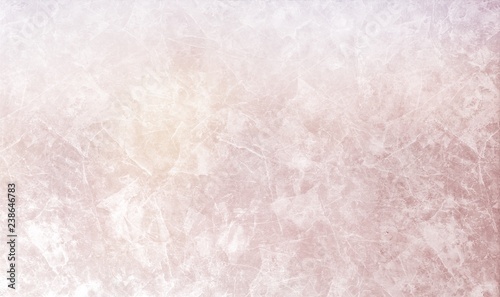 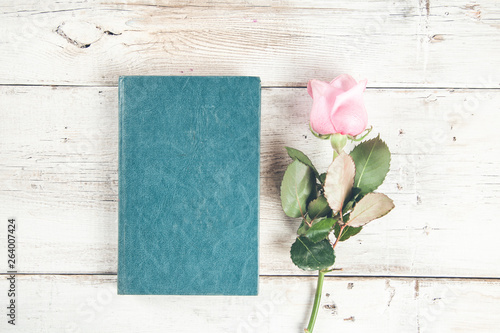 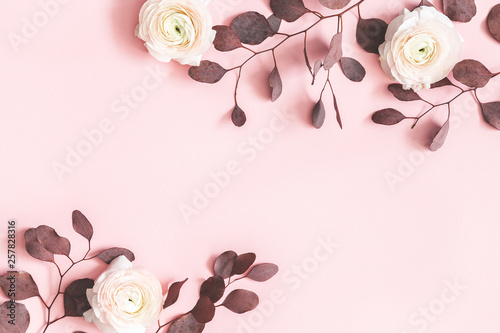 Empty paper sheet and flowers on a purple background. 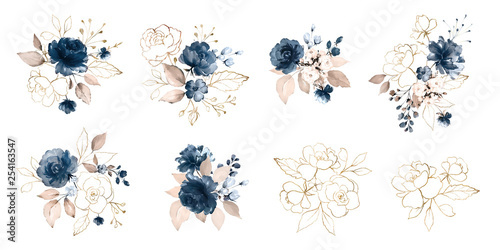 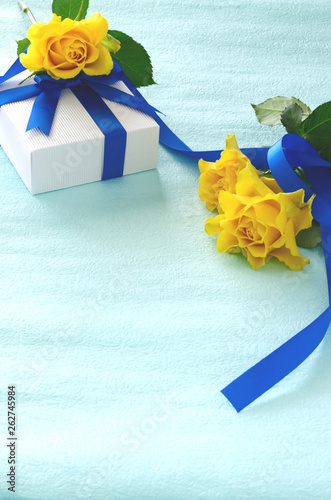 Set watercolor design elements of roses collection garden navy blue flowers, leaves, gold branches, Botanic illustration isolated on white background. 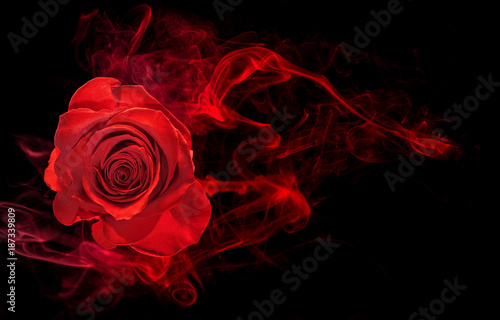 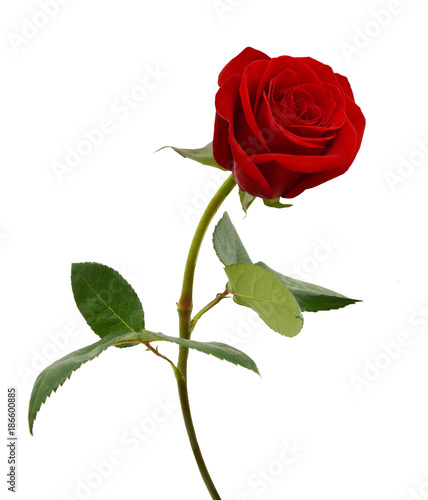 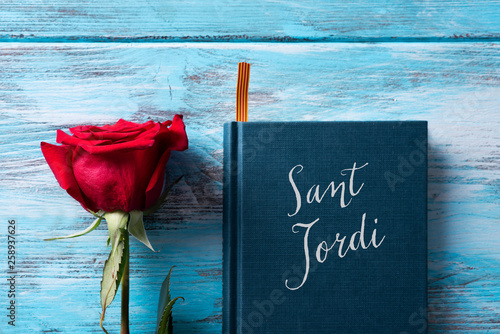 rose, catalan flag, book and text Sant Jordi. 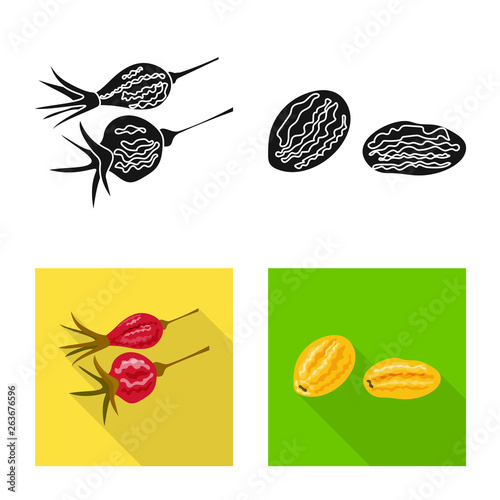 Vector design of food and raw logo. 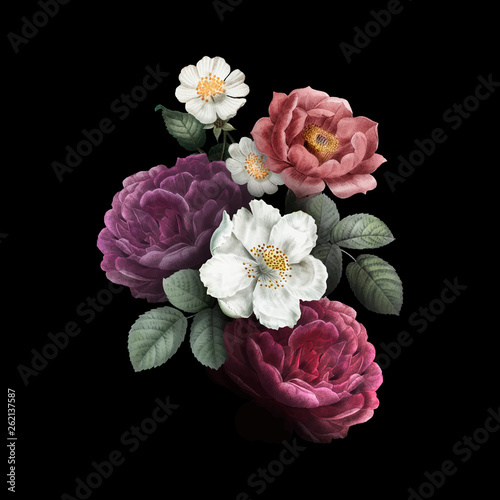 Set of food and nature stock symbol for web. 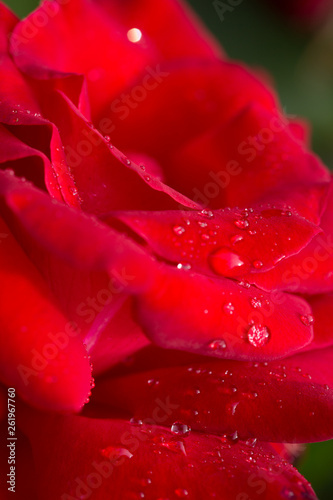 Red rose closeup with water drops. 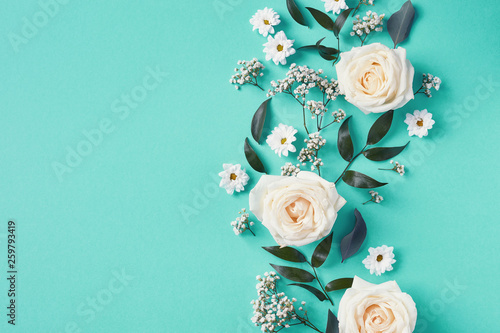 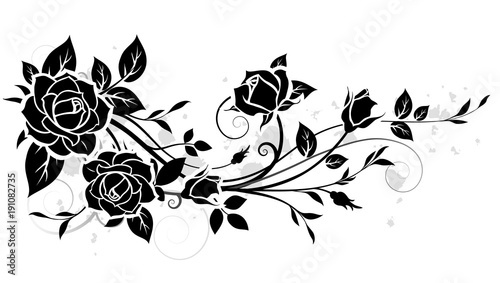 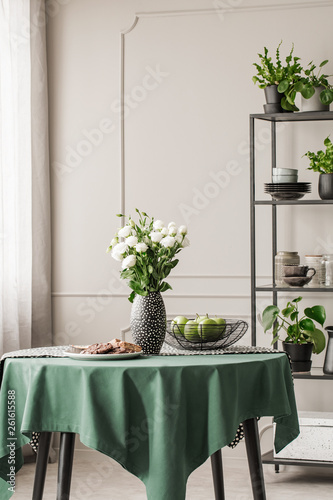 Flowers background. 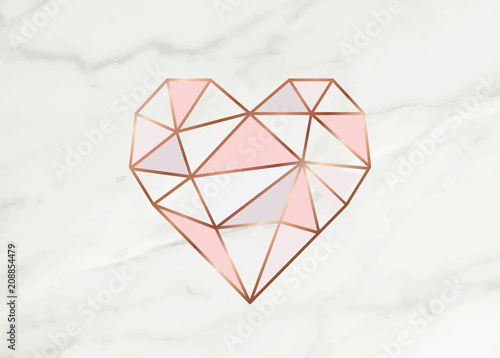 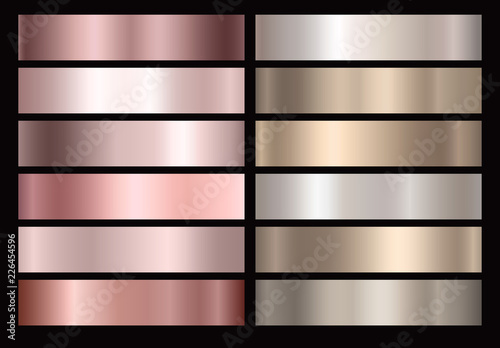 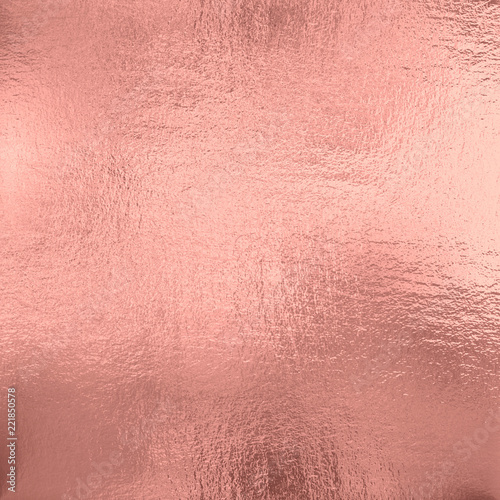 Geometric rose gold heart shape with marble background texture design for packaging, wedding card and cover template. 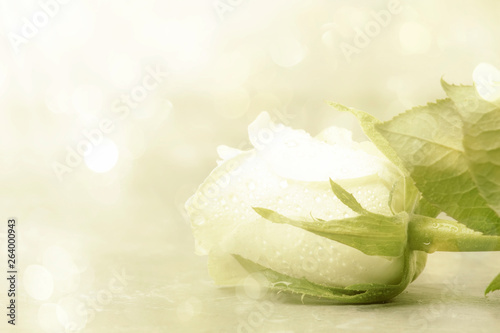 Wedding bouquet of flowers lying on the gray sofa next to the white fur coat in the studio. 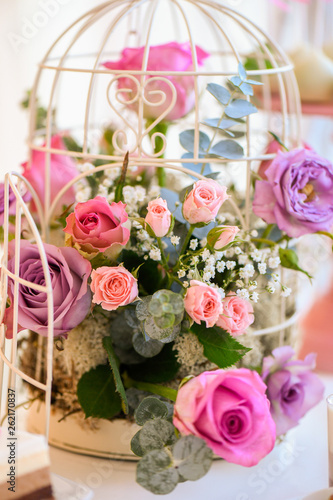 Wedding details. 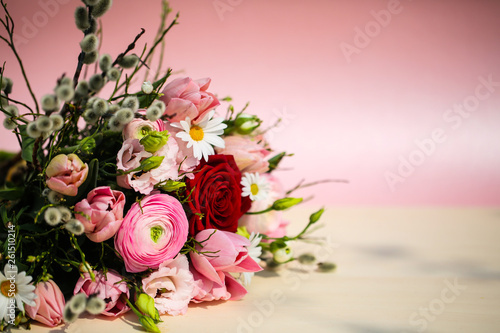 The bride's bouquet. 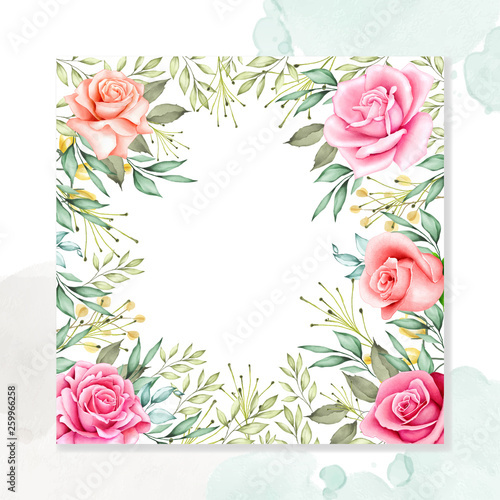 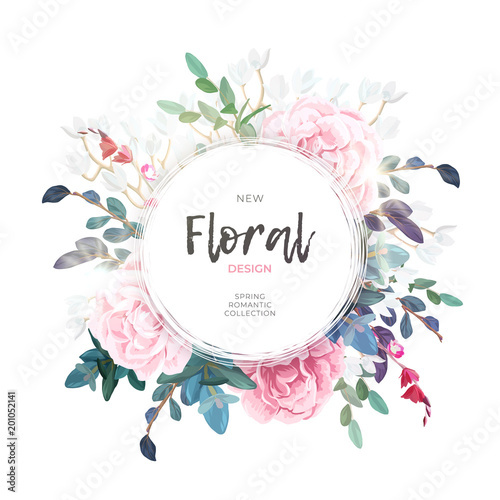 Vector round botanical frame with pale pink roses, green leaves and plants. 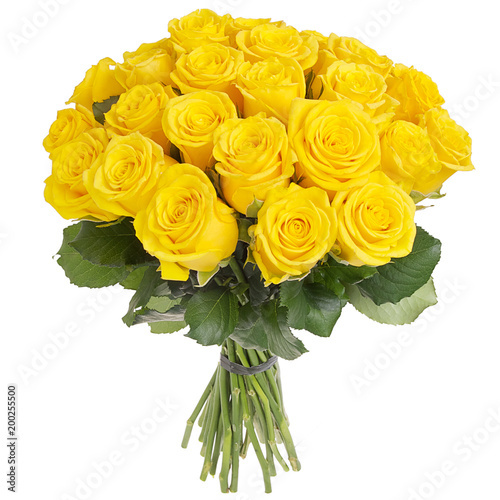 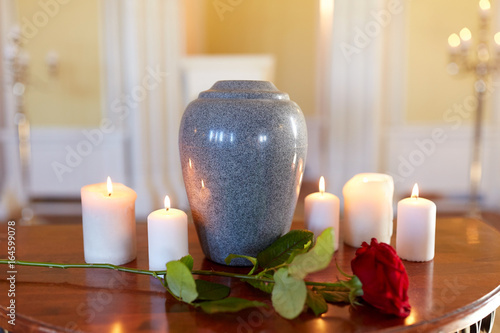 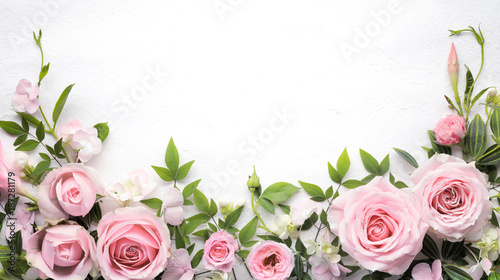 Light romantic floral design. 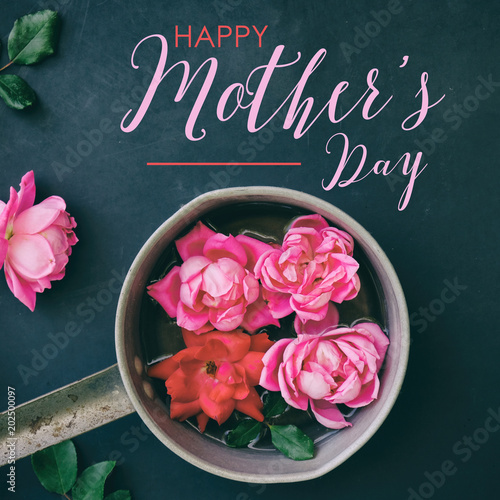 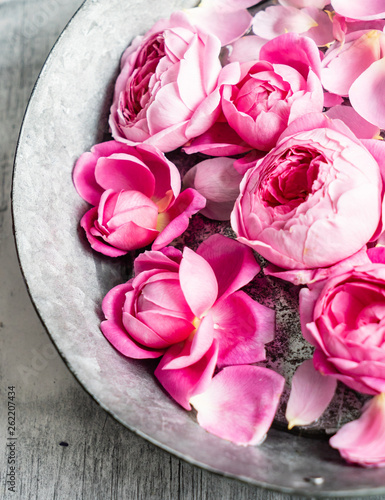 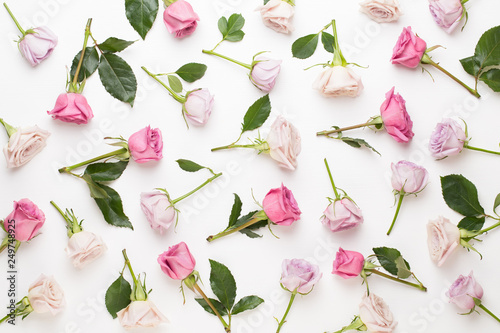 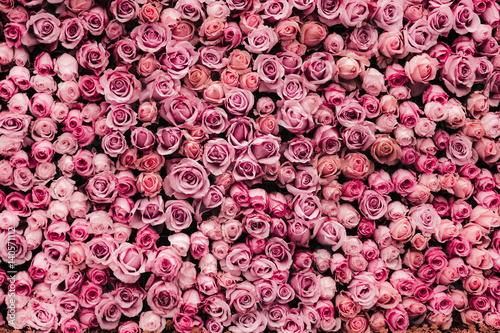 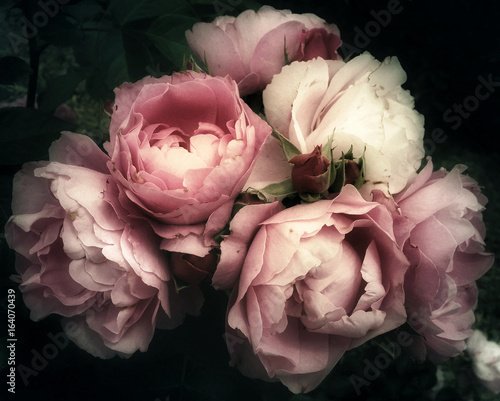 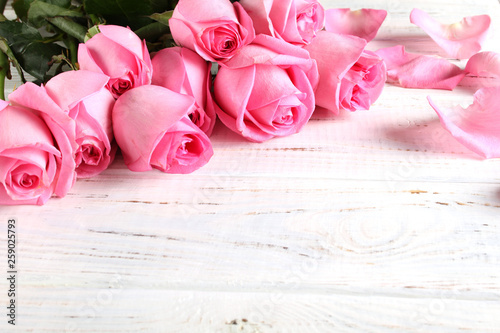 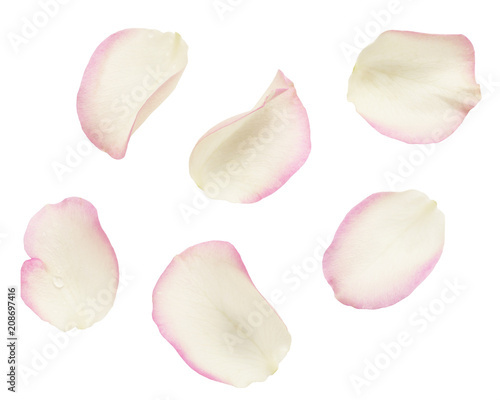 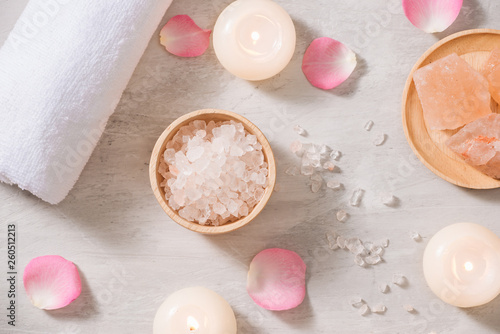 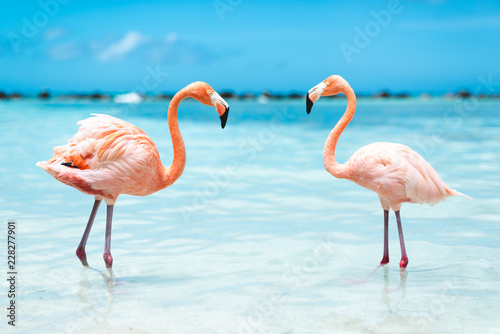 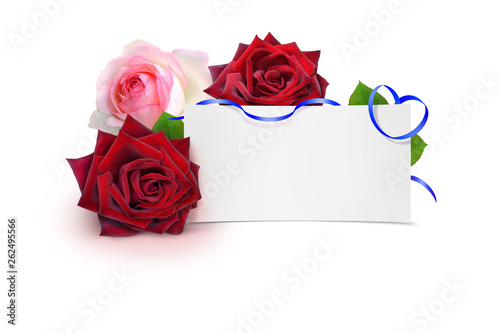 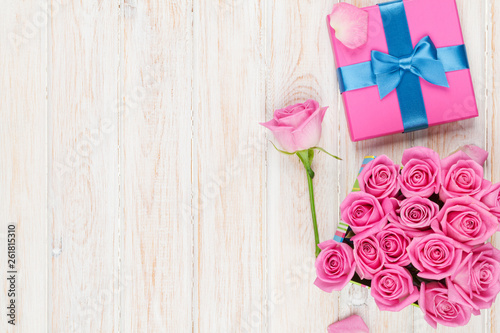 Mothers day graphic for card or print shows pink roses as bouquet for the holiday.